Pest control is a delicate procedure that needs to be adeptly handled in order to see effective results. That’s why, here at A1 Pest Control, we are passionate about discussing our clients’ needs closely before deciding on the appropriate treatments that would serve them best. Through years of dedication to the industry, helping the home and business owners of Middle Dural, we have developed a reputation of reliability, expertise, and efficiency. When you source pest control services from our expert technicians, you know you’ll be dealing with those who are passionate, and will complete the job affordably and with precision. To learn more about what we can do for you, or to discuss your options, feel free to call us today on 0417 251 911. Our friendly team are always up for a chat. At A1 Pest Control, our friendly team of technicians will provide you with unbeatable service of the highest quality. Whether your property needs action against bed bugs, bees, termites, spiders, cockroaches, or ants, you can be rest assured that our qualified staff will support you, using the latest in low toxic materials and treatments. 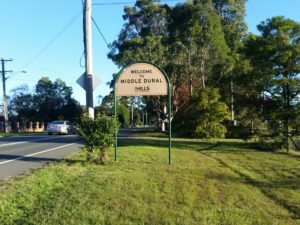 Middle Dural is a lush, leafy, and thriving part of Sydney’s Hills District, and whilst this makes it a wonderful place to call home, it also creates prime attractions for pests. Our mission is to keep the land looking lovely and the residents happy. No job is too big or small for our technicians, because we believe that bringing excellent pest control treatments and outstanding customer service to the people of Middle Dural, Nelson, North Kellyville, North Rocks, Glenorie, and the wider Hills District is of the utmost importance. Do you require A1 Pest Control’s services to rid your property of pesky rodents, cockroaches, or other pests? Then it’s time to contact our team today. You can do so by calling 0417 251 911, sending an email to bruce@a1pestcontrol.com.au, or leaving your information on our online enquiry form, found on our contact page.